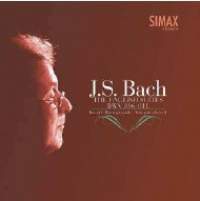 Listening to these two new recordings of Bach’s wonderfully vigorous English Suites, it is hard to see why they are not quite as popular on disc as the Partitas. Now though, and with Richard Egarr’s passionately felt but slightly colourless version having come out earlier this year (Harmonia Mundi, 3/13), suddenly we can be choosy. Ketil Haugsand and Pascal Dubreuil offer differing accounts that are both recommendable for their expertise and loving care, so deciding between them will have to come down to taste. Dubreuil plays on a sweet-toned Ruckers copy, and his refined finger technique produces a delicate and crisply elegant sound with richly rounded, plum-like trills. The gentleness of his touch shows beautifully in the strummed Sarabande of No 6, there is a rare convincing lilt in the Prélude to No 1 and an exquisitely slight inégale illuminates the Courante of No 5. Elsewhere, though, his tendency towards the less rhythmically flexible can seem relentless, particularly in the profounder preludes, allemandes and sarabandes. Where it works better is in the Galanterien, those lighter dances that can run themselves such as the gavottes and bourrées, as well as in the dynamic gigues, which Dubreuil executes with compulsive flow. By far the hardest thing to live with is the decision to leave in the noise of registrations being changed between movements, especially as the recording raises it to an unrealistic level. 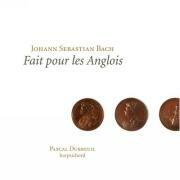 If Dubreuil relies rather on the inevitability of Bach’s music to do some of the work, Haugsand is more interventionist. Doubtless some listeners will find his tireless rubato excessively fussy and mannered, and it is hard not to agree that a movement such as the Prélude to No 5 loses some of its drive thereby. The heavier sound of his ‘German-style’ instrument and his more leisurely tempi (especially in the relatively steadfast allemandes) also give his performances a more momentous and brooding feel than those of the brisk Dubreuil. Yet there is such wisdom and expressive freedom in his artfully turned corners, subtly varied spread chords and rhythmic dislocations that you are compelled to listen. The sheer range of articulation in Bourrée II of No 1 is dazzling, while any one of the sarabandes, superbly realised in all their sense of majesty, sensitivity and dance, and with their complex written ornamentation sounding as spontaneous as a wave of the hand, would be worth your money on their own. Here is a master harpsichordist at work.